We start this week where all football failure begins: Cleveland, Ohio. 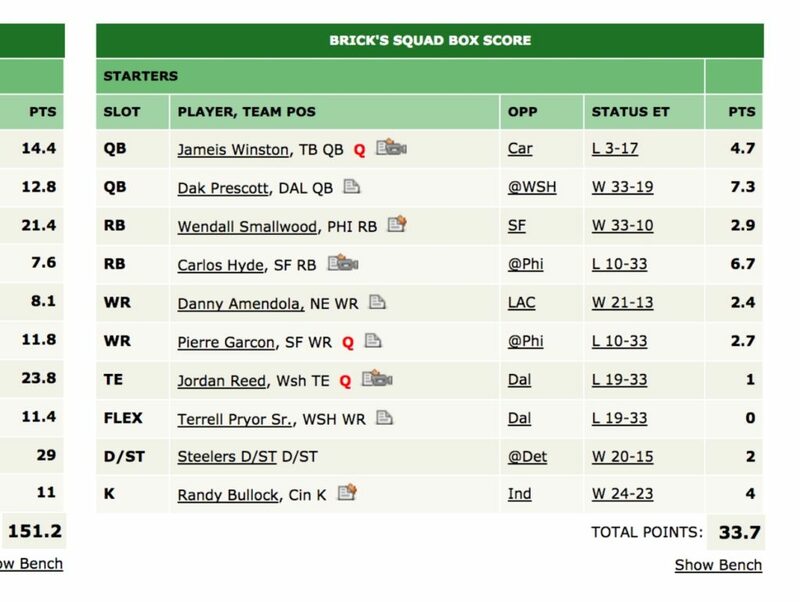 So how did an all-Browns fantasy football team do? Almost as bad as an all-Browns real football team. I honestly never even heard of five of those people. 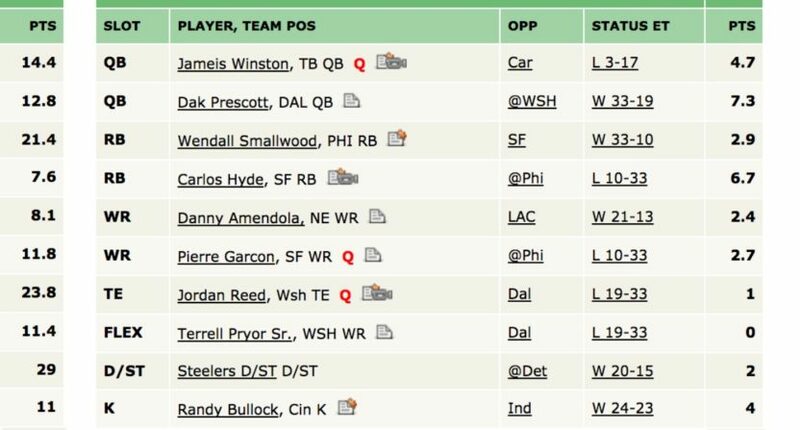 But this week’s big winner/loser is this squad, sent in by Alex H. to mock his friend @jtrep13. This fine squad put up a grand total of … drumroll … 33.7 points. And this is in a two-quarterback league. Egads. And the fun side note on this team? Check out the winning score on the left. So close! 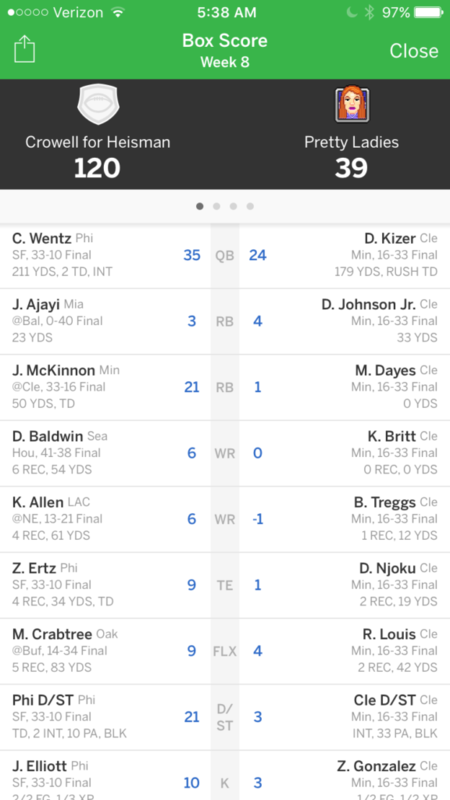 Just need a 117.5 more points for a tie. Way to not come through for the team, Randy Bullock. Thus concludes Week 8’s sucking. See you back next week for another edition of fantasy failure.